Are you confused about a career or academic major? We can help. Stop in 8:30 a.m.-4:30 p.m. during the academic year to visit with a Peer Career Advisor. Ask questions. Get started on a major. 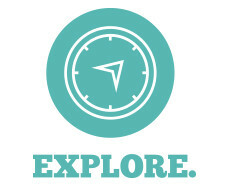 Explore careers. Schedule an appointment with a career counselor for in-depth questions or if you are struggling with your major or career choice. Take COLL 111 Career Planning a two-credit course that guides you through self-assessment, career research, decision-making and career preparation. View a sample syllabus (PDF). Use our Four-Year Planning Guide. Review the suggestions and then develop your own path to make the most out of your academic, personal and professional growth. Find a career coach. Minnesota Career Development Association maintains a list of Minnesota career counselors and coaches. Exploring graduate school? The decision to attend graduate school can be exciting and overwhelming. Our resources will help you choose a program and know what to consider.